The Catoctin Chapter sponsors one schooling show per year that offers dressage sport horse in-hand classes and dressage under-saddle classes. Show Dates: The next chapter show is Saturday, May 9, 2015. The opening date is April 15 (earliest post-mark). The closing date is May 2 (must be received by the show secretary by midnight). The show is closed. 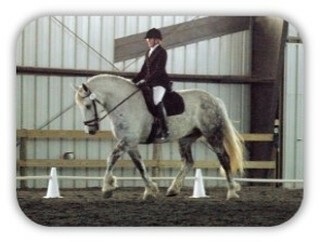 Show Location: The show is held at Plantation Valley Stables, 1801 Mountain Church Road, Middletown, MD 21769. 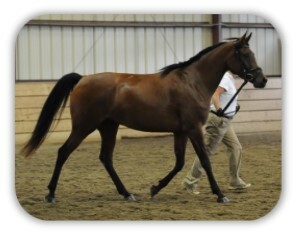 Their web site is http://www.plantationvalleystables.com. The chapter thanks the Mattingly family for donating their facility for the show. Click here to open a PDF file showing the farm location, directions, and the show layout. Arenas: All tests are in a sand and fiber indoor arena. All ridden tests are in a 20m x 60m indoor arena. Warm-up is a blue stone outdoor arena. Option 1 - Hand Written: Open the document (click here) and print. Fill-in the form/agreement (page 2) by hand (please print very clearly!). Snail mail the completed page 2, copy of current Coggins and check made out to the Catoctin Chapter of PVDA. Option 2 - Type in Information: Open the document (click here) and save it to your computer using Save As, giving the file a file name that will identify the file for you. Open the saved file and, on page 2, type in your entry information in the highlighted boxes. Save the file. Print page 2. Snail mail the completed page 2, copy of current Coggins and check made out to the Catoctin Chapter of PVDA.